Why would I need self storage in Mt Clemens, MI? There are a variety of reasons why you might need self-storage in Mt Clemens, MI. How much is a storage unit in Mt Clemens, MI? The cheapest storage unit in Mt Clemens, MI is $69.00 per month. What size storage units do you have available in Mt Clemens, MI? In Mt Clemens, MI we have sizes that range from 5'x10' to 10'x20' to suit your storage needs. How much is it for a 5'x10' storage unit in Mt Clemens, MI? The cheapest 5'x10' storage unit in Mt Clemens, MI is $69.00 per month. 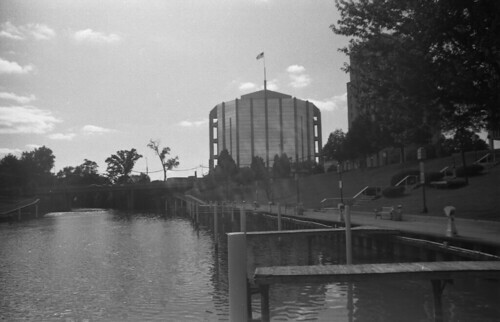 Mount Clemens is a small city in Michigan&apos;s Macomb County. Located within the Detroit metropolitan area, Mount Clemens is conveniently located seven miles north of St. Clair Shores and 20 miles northeast of downtown Detroit. Mount Clemens was named after Christian Clemens in 1818. He surveyed the area in 1795 and became one of its first settlers. He built a log cabin where the County Court Building stands today, and the laid out lots and streets with names to create the city. Mount Clemens was incorporated as a village in 1837, but was upgraded to a city in 1879 when its population reached more than 3,000. Residents found mineral waters while attempting to develop salt wells in the 1870s. This discovery helped Mount Clemens establish a thriving mineral bath industry. However, Mount Clemens popularity as a spa destination diminished around World War II, as fewer people had the time to enjoy relaxing vacations. Today the 1898 building of St. Joseph&apos;s Mercy Hospital is Mount Clemens&apos; only remaining bath house. Approximately 16,400 people live in Mount Clemens. During warm weather they enjoy fishing and boating at Clinton River Park, Shadyside Park, and MacArthur Park. Locals also love looking for wildlife as they walk the trails of Sleepy Hollow. When winter falls, the outdoor ice skating rinks of Dorothea-Leonore Park and Lawndale Park encourage residents to enjoy the chilly conditions outdoors. Mount Clemens downtown area features shopping centers, restaurants, and movie theaters. If you&apos;re thinking about relocating to Mount Clemens, Michigan, it&apos;s easy to see why. The city has a growing economy, affordable housing, and picturesque green spaces. Organizing a move to a new neighborhood can be challenging, but we&apos;ve made the jobs easier with our collection of links about Mount Clemens&apos; property market, affordability, recreation and entertainment opportunities, and much more. Our Neighborhood Selector will help you choose the right community for you and your loved ones. This handy tool will also help you learn more establishing residency in Mount Clemens and making the most of its community facilities. The majority of Mount Clemens&apos; businesses are office-based professional services. Nearly a quarter of locals work in sales, office, and administrative support roles. In addition, more than 13 percent of residents hold management, business, and finance positions. Retail is also a prominent industry in Mount Clemens, especially after recent attempts to revamp the downtown region. Mount Clemens Community School District is a small public school district based in Mount Clemens. It has approximately 1,600 students attending its four schools: King STEAM Academy, Seminole Academy, Mount Clemens Middle School, and Mount Clemens High School. Mount Clemens Community School District received a 2 out of 10 school ranking on GreatSchools.org. With a median price of $64,500, homes in Mount Clemens cost less than half the national average. They also tend to be much older than in other U.S. cities. More than a quarter were built before the 1940s, and nearly a quarter were built in the 1950s. Less than 5 percent of local dwellings were built after 1990. This gives Mount Clemens&apos; streets a historic character not seen in many American cities. Our lowest priced units in Mt Clemens, MI average $69.00 per month. 85 people have reserved units in Mt Clemens, MI in the past 30 days. There is 1 location within Mt Clemens, MI's city limits. There is 1 location in Mt Clemens, MI that offers AC and Heating features.